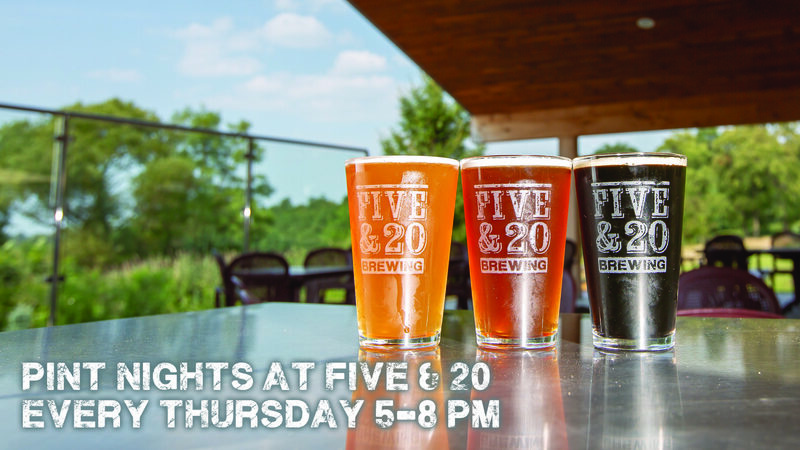 Join us for our version of thirsty Thursdays – Pint Nights at Five & 20 are back! $2 OFF ALL DRAFTS*! With a good chance of live, local music. Also check out food and featured cocktail offerings by Bird! Take advantage of the warmer weather out in our picturesque courtyard, which overlooks surrounding farmland (and spy Lake Erie in the distance.) Indoor seating is also available. Meet up with friends and family and relax with some locally brewed beer. Wine also available by the glass. Pint Nights will continue every Thursday 5-8 pm during Spring, Summer and early Fall. Check our Facebook page for updates on promotions and music.